Oil, chemicals, asbestos all need handling with care. We offer a comprehensive hazardous waste disposal service for all dangerous or difficult to dispose of items. For those things that can’t go into your kerbside bins, we offer a safe and efficient Auckland rubbish collection service, including pick-up and disposal. We work in conjunction with various treatment, recycling and disposal facilities to ensure safe and effective collection and disposal of solid and liquid, hazardous and non-hazardous rubbish. Give us a call on 0800 DUMP ME (0800 386 763) to arrange pick-up of your hazardous rubbish. We offer a seven day service and can also give you advice over the phone on what might be considered hazardous and how to deal with it safely. We’ll also give you a price indication over the phone, or we can send someone out to give you an onsite, no obligation quote. What types of waste are considered hazardous? For example, most chemicals, paint, solvent, acid, batteries, energy-saving light bulbs, fluorescent tubes, gas cylinders, asbestos, medical waste. Substances such as oil, chemicals, or asbestos all need handling with care. This stuff can’t go into general rubbish, because it poses a health risk to workers at the dump who have to sort and handle your trash. Toxic or otherwise hazardous waste also causes major problems in landfills, leaching out into the soil and waterways. It’s much easier and more sustainable to separate out these items beforehand. They are then treated to make them inert or disposed of in other ways. Some things can even be usefully recycled. Any liquids that aren’t allowed in landfill shouldn’t be poured down the drain either! Examples are engine oil, leftover cleaning products (not the eco kind), industrial chemicals, any household item with ‘toxic’, ‘poison’ or ‘hazardous’ on the label, acids, paint, paint thinner, full or partly-full aerosol cans, including paint cans, hairsprays, etc. 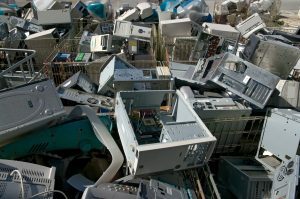 Electronic waste, such as computers and phones, contain toxic substances that should be separated and recycled. Aerosol cans can go into your recycle bin but only if they’re empty. Although fluorescent (including energy-saver) bulbs are hazardous because they contain toxic substances, incandescent and halogen bulbs can go into your general rubbish, wrapped in newspaper. The same goes for broken glass – the council advises not to put this in your recycle bin but wrap it and put it in your rubbish collection bin. Hazardous items must be handled with care and there are different places you can take certain dangerous substances and items, but if you have a lot of different kinds of hazardous waste, this can be very time consuming, because you’ll have to go to a separate place for each. Want to be a responsible citizen, but don’t have the time to do all the research and leg work? Then give us a call on 0800 DUMP ME to order a hazardous rubbish collection at your convenience. We can take the stress out of sorting and disposing of dangerous waste, giving you the peace of mind that you’ve done the responsible thing. It takes a few seconds to throw something toxic into the bin, and can take hundreds of years to get it back out of the soil. We have a track record of over ten years of responsible waste management in the Auckland region. Our goal is to make it easy for you to do your bit, to help preserve the planet for future generations. Where does it all go and what gets recycled? 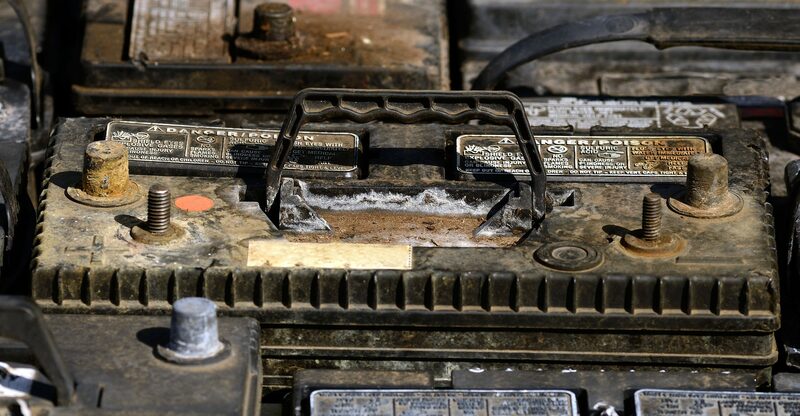 Used engine oil: some commercial garages will take it off your hands. In some cases it is reused as fuel. Some garages also take old car batteries. Paint: some transfer stations take it and sell it (contact them first to check). 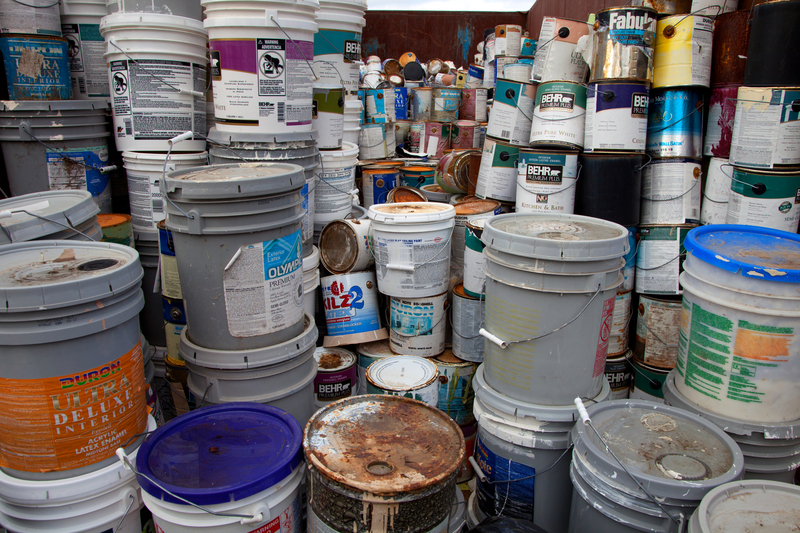 Retailers often also accept leftover paint to be returned for recycling. Most metals are easily recyclable and you can get money for them from scrap metal dealers. Some retailers take blown light bulbs back to be recycled. Most flammable materials can be recycled into industrial fuel. Other types of hazardous waste are burned directly as fuel, which reduces their hazardous properties and provides energy. Some are simply incinerated as the only means of disposal. This can release dangerous emissions so it’s not ideal, merely moving the problem from a landfill one to an atmospheric one. However, methods of incineration have improved and it’s possible to minimise the emissions to the point where this is considered the most viable option. Some hazardous materials can’t easily be recycled or incinerated and are instead treated to neutralise them so that they can go into landfill without leaching dangerous substances. Unfortunately, lot of hazardous waste is simply isolated or sequestered. This means it is put in a separate, sealed disposal facility such as a designated landfill or permanent disposal facility, which minimises leaking or leaching and aims to contain the materials.